Bats have one of the most complicated wing structure in the animal kingdom. Their extreme agility and acrobatic way of flight inspired countless scientists to mimic them. Today, scientists were able to invent a robot that can fly, turn and swoop like a real bat. 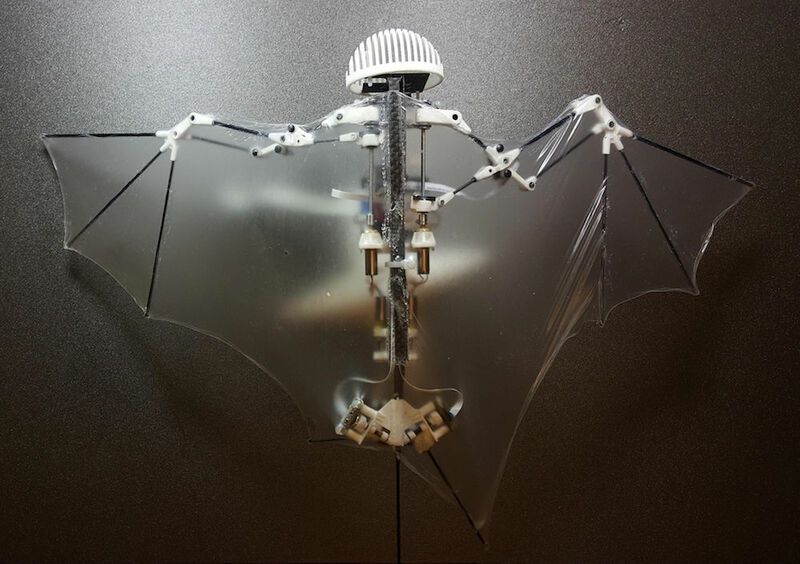 This new robot is dubbed as "Bat Bot" or B2.Flying robots inspired by bats were already created by other researchers. The old robots was developed by following the skeletal anatomy of bats too closely which results in bots that were too bulky to fly. With Bat Bot, they identified the key components of the bat wings which are the shoulder, elbow and wrist joints and the side-to-side swish of their thighs. The Bat Bot is created using carbon fiber and ball and socket joints for the wings. This robot is able to flap its wings 10 times per second by using a micro-motors located on its backbone. In experiments, the Bat Bot could fly at speeds averaging 5.6 meters per second and can carry out sharp turns at a speed of 14 meters per second. With the use of soft, durable, ultrathin, silicone-based skin for the cover, Bat Bots is safer around humans and are light weight.Bat Bots can be used for wide range of applications. For example, it can be use as a service bot which can deliver objects to humans, relay audio and video from various distant locations and can also become a pet-like companions. Aside from the applications of these robot to regular people, the Bat Bot could also help scientists unlock the mysteries of bat flight. Although these bots are not perfect at the moment, these bots could replace the currently existing drones which are quite big and noisy.Want to know more about this awesome device? Follow this link!